What Is Embedded Systems in Electronics and their Classifications? The first embedded system was developed by Charles Stark – a draper at the MIT instrumentation for Apollo Guidance Computer. In projects’ inception it was considered as the riskiest item in the appolo project, so to reduce the size and weight, monolithic ICs (integrated circuits) were developed. In 1961, an early mass produced embedded systems was the Autonetics D-17 guidance computer for the Minuteman missile. Embedded-system based projects are capable of doing multitasks, and are also capable of interfacing with the other networks and devices. In addition to this, they are applicable in areas like space, communication, transportation, robotic systems, home appliances, etc. This article is intended to give basic information about the classification, architecture, types, and applications of embedded systems. 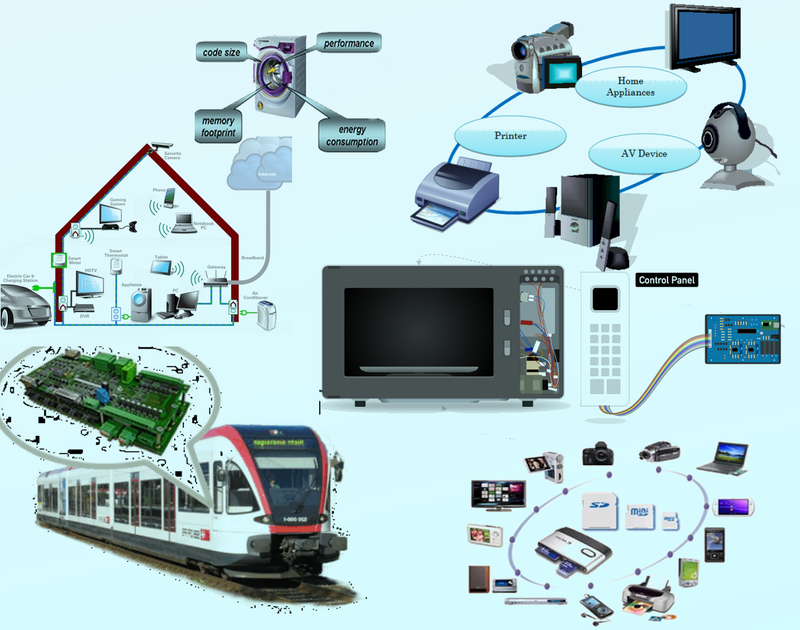 An embedded system is a computing system designed to perform one or more specific functions. In other words, an embedded system has computer hardware (a microprocessor, memory, input and output units, and networking units) with a software embedded in it. ROM is an important component of an embedded system in which programs are stored. Some embedded systems have an operating system as well. 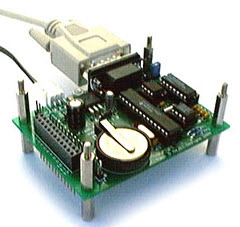 The systems are designed and built with a single 8 or 16 bit microcontroller. Small-scale embedded systems possess small hardware and software complexities with a board level design. They use a battery for operations. Usually C or Java is used for developing these systems. Compilation of C programming is done through the assembly language, and the executable codes are located in the system’s memory. While running the system continuously, there is no need to limit power dissipation. 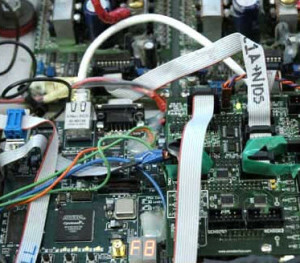 These systems are designed with a single or a few 16 or 32 bit microcontrollers or DSPs or RISCs (Reduced instruction set computers). They possess both hardware and software complexities. They employ readily available IPs for functions like bus interfacing. They use these programming languages: C, C++, Visual C++, and Java along with RTOS and simulator, debugger and integrated development environment. 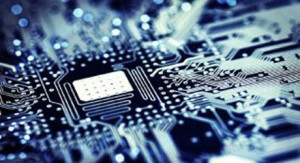 Sophisticated embedded systems exhibit enormous hardware and software complexities and may need programmable logic arrays and configurable processors or scalable processors. 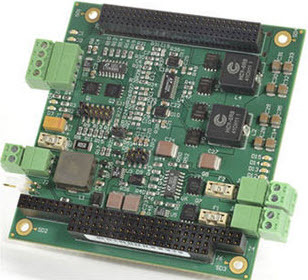 These systems are used in cutting-edge applications, and thus require hardware and software co-designing and components’ integration in the final system set up. Development tools for these systems may not be readily available at a reasonable cost – and, or sometimes, may not be available at all. The Software functions within the system use encryption and deciphering algorithms. TCP/IP protocol stacking and network driver functions are implemented in the hardware to obtain additional speeds to save time. Additionally, a 12V+ 0.2V or 12V- 0.2V power supply is needed for a flash or EEPROM. When a voltage is applied to the chips of an embedded system, the voltage applied depends on the number of supplying pins. The pins are usually in pairs consisting of the supply-in and the ground line. A processor may have more than two pins of VSS and VDD. A Processor is the heart of the embedded system and consists of two essential units: a program flow CU (control unit) and the other EU (execution unit). The control unit includes a fetch unit to fetch instructions from the memory. The execution unit consists of ALU (Arithmetic logical unit) to execute instructions for a program that controls tasks and interrupts. The ALU can also execute instructions for a calling function and branch them to another program. 2. ASSP (Application Specific System Processor) as additional processor. 3.Multiprocessor system using GPPs and ASIPs. 4.GPP cores or ASIP cores are integrated into either an ASIC or a VLSI circuit. An embedded system has internal or external RAM used for storing intermediate results, variables and data. Cache is used to store copies of instructions and data in advance from the external primary memory and the results temporarily during processing. This type of memory not only stores codes for system booting, but also stores embedded software from where the processor fetches the instructional codes. This type of memory is used to store data while processing image, speech and other media related data. Memory stick stores images, videos, songs or speeches as an external memory source. In addition to all these components, embedded systems include I/O interfacing circuit that allows digital, analog and timer or counter-based inputs. Even the household appliances including washing machines and microwave ovens are embedded systems based appliances. Cash registers, fingerprint identifiers, ATMs, factory controllers, speech recognizers, card readers, product scanners, Smart cards, etc., are the business purpose equipments that use embedded systems. Telecommunication industry utilizes numerous embedded systems ranging from the telephone switches for the network to route data from the telecom computer network, to the network interfacing equipments and Ethernet switches that are designed to provide long distance transmission of the signals. Embedded systems find numerous applications in various sectors, appliances and equipments. Therefore, it is not possible to mention all the possible applications of embedded systems in this particular article due to time and space constraints. At last, one can say that embedded systems are amazingly superb systems that play a pivotal role in myriad devices, equipments and appliances irrespective of whether they are simple or complex. Considering the huge significance of embedded systems, this particular article on them deserves its readers’ feedback, queries, suggestions and comments. Therefore, readers can post their comments here.